Posted on January 16, 2019 at 11:55 am. Overview: In the United Arab Emirates, the Government of Dubai operates the Emirates National Oil Company (ENOC). The ENOC Group comprises 30 related subsidiaries, which are involved in everything from refining to storage to retail. ENOC has a mission to improve economic diversification and sustainable development using the latest innovations and technologies. 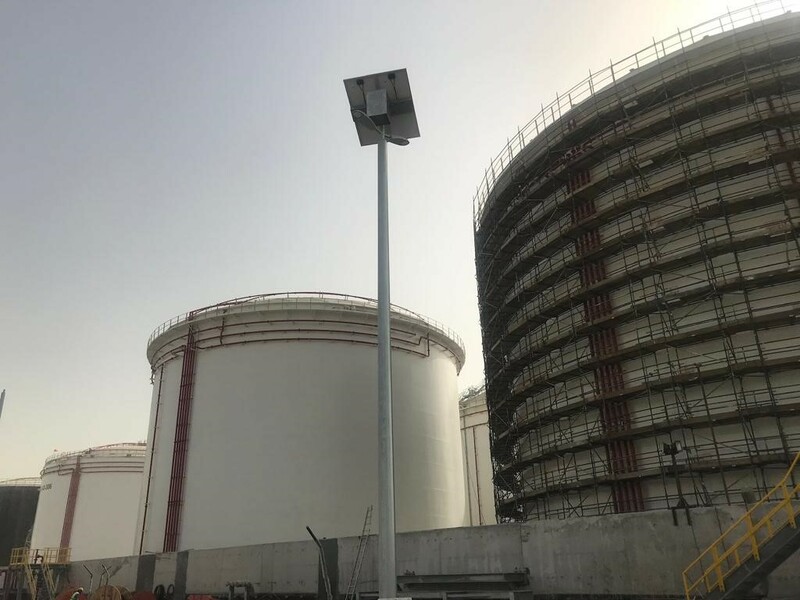 For example, in 2017, the company announced all future ENOC service stations would be powered by solar energy, supporting a long-term strategy in line with Dubai Clean Energy Strategy 2050. 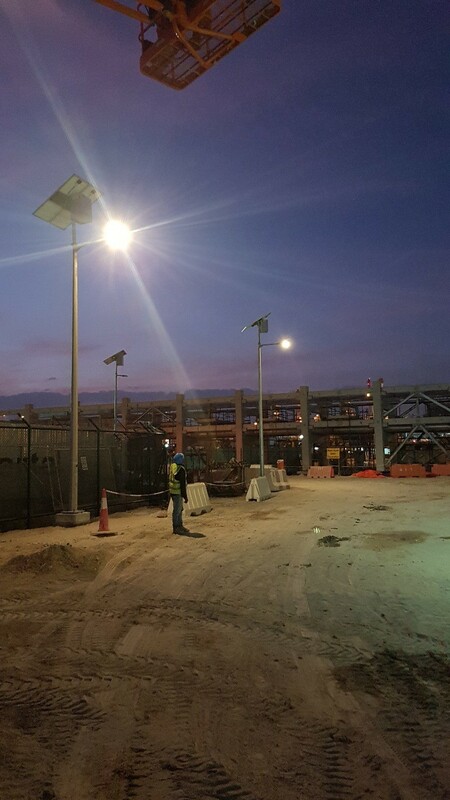 Also in line with these values was adding solar perimeter and security lighting to their refinery expansion project in Jebel Ali, Dubai. 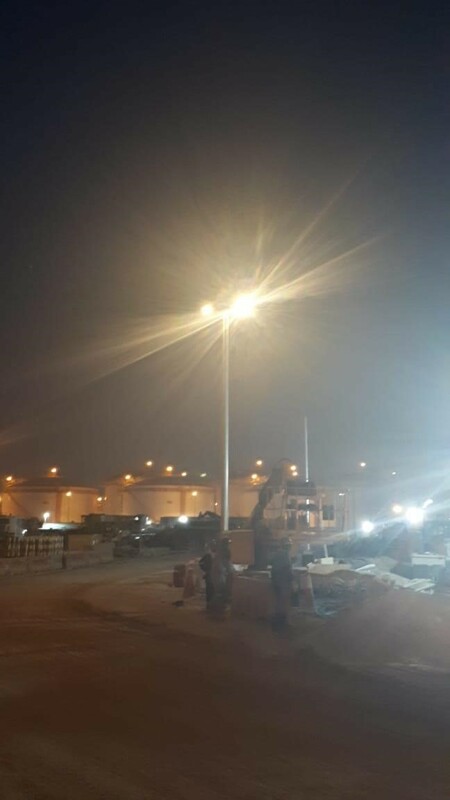 “People in the UAE are working on green projects with many days of autonomy,” says Syed Junaid Ur Rehman from PEB International, the authorized local distributor for the Sol lighting used in this project. 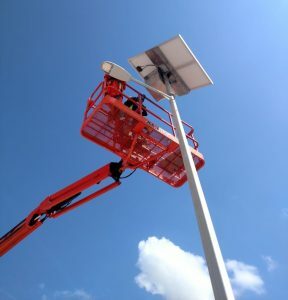 Find a solar perimeter or security light for your project.